Master the finer points of hosting for the holidays with expert tips from our Home & Art team. Follow the Get Tickets link to get inspired with historical and contemporary examples of some the most smashing dinner parties ever hosted, and follow along as The RealReal's experts explain the proper way to set the table for lunch, dinner, afternoon tea and more. 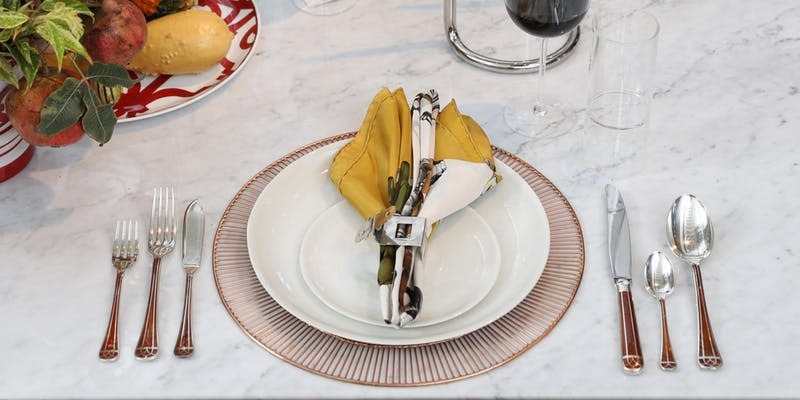 Learn to transport your guests to a different, more formal era with a traditional Victorian Service a la Francaise or Service a la Russe, as well as the secrets to creating a perfectly modern, unfussy-chic tablescape.